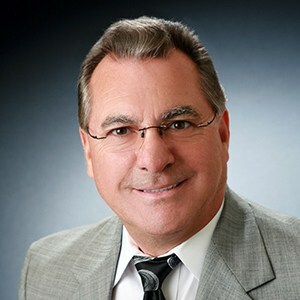 Mike Russo is the principal of Coast 2 Coast Consulting and Design Group, Inc. For over twenty-five years since 1983, he has been involved in all facets of the irrigation industry, including, service, troubleshooting, design and consultation. Both he, and his professional staff, offers a broad base of experience and backgrounds that are important to a full service irrigation design and consulting firm. Experiencing irrigation from many viewpoints, as a manufacturer representative, distributor, and specifier, which provided Mr. Russo with the knowledge to fully understand all facets of the industry. Insight and comprehension into plant / soil / water interrelationship, design complexities, computer based control systems have contributed to Mr. Russo’s ability to manage the complexities of irrigation consulting. With this knowledge, he designs with efficiency, quality, longevity, future serviceability / expand ability and also Budget in mind. Experiencing irrigation from the trench to the drafting table, Mr. Russo is able to better understand the complexities and science of irrigation design and consulting. By using his field knowledge of proper installation procedures, he designs with efficiency, quality and longevity in mind. This knowledge has been instilled into approximately 120 projects that he has designed or has been directly associated with in the course of his career. His designs include a broad range of projects including Golf Projects, hotel & resort developments, residential communities, corporate office parks, athletic fields and recreational facilities. Mr. Russo’s goal through innovative design is to create an environment, which incorporates the conscientious use of water by virtue of conservation technology, alternative water sources, and responsible water management. He and his staff are full time irrigation designers / consultants, that will provide you with the most up to date technology and information possible in the industry to every project. Coast 2 Coast. employs a staff of professionals and specialists in the irrigation industry. They know proven methods through their experience and stay abreast of the rapid changes in the technology. They are able to anticipate possible problems and can help avoid potential litigation on the increasingly diverse and costly Project irrigation projects of today. Retaining Coast 2 Coast as an Independent Irrigation Consulting firm is the most cost effective way to obtain the benefits of a full time professional Team. This will insure that you and your Project is getting the best system for the individual needs of the development. Coast 2 Coast performs their services impartially, in the best interest to the Project, since they have no proprietary interest in the products they specify. Because their income is derived solely from professional fees, we have no conflicts of interest when designing and specifying an irrigation project. A competently designed system with a detailed set of contract/construction documents produced by the professionals at Coast 2 Coast saves both short and long term costs on virtually every phase of an irrigation project. In the short term they provide for a quality installation at a minimum cost by eliminating doubts that often lead to contingency bidding. They also eliminate possible disagreements and misinterpretations that can create costly revisions, add-ons and change orders as the project progresses. In the long term, reduced operations and maintenance cost, plus increased water conservation will lower operating and maintenance costs to the Project. There are literally Hundreds of irrigation products currently on the market. Only someone completely familiar with the market is in a position to make intelligent choices for the project at hand. The Project must be protected from purchasing sub-standard materials that will not perform satisfactorily over the long haul. We will also advise in the Project’s best interest when considering the purchase of expensive materials that may be too sophisticated for the project at hand. The Professionals of Coast 2 Coast can guide you through this confusing market place. When time and money have been committed to the design and installation of an irrigation project, it is prudent to invest sufficient funds to provide field observation by the Irrigation Consultant. This can prevent loss of control over the project during installation. The Professionals of Coast 2 Coast knows the intent and purpose of the documents and can represent the Project to assure an efficient and trouble free system.